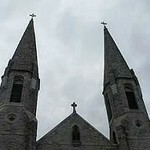 Sunday (June 9) - 9am-3pm with auction at 3pm. But wait there's more! 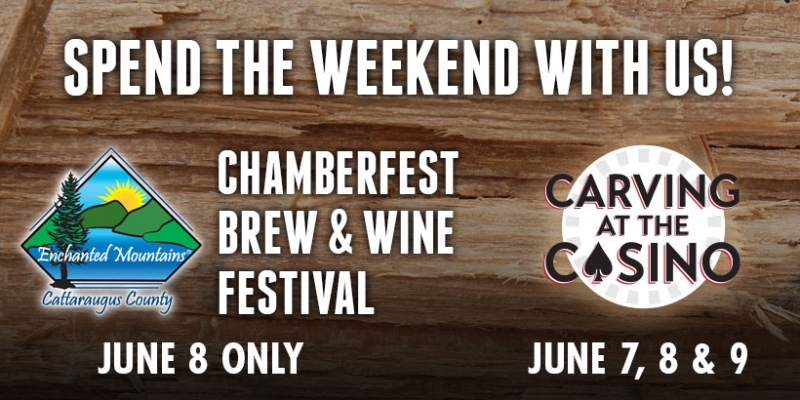 On Saturday, June 8th, enjoy the 3rd annual Chamberfest Brew & Wine Festival! The coming of Summer was celebrated at the Seneca Salamanca Chamber of Commerce ChamberFest Beer Festival last year and they are doing it again this year! Craft beers from local and regional breweries will be available for sampling at this third ChamberFest Beer Festival. Music, food and arts & crafts vendors will be available with the craft beer sampling and wine tastings. Guests have the opportunity to sample beers (and food) from all the breweries present, keep the commemorative tasting glass, and browse the arts and crafts vendor area. Breweries included in this year's festival include Four Mile Brewing, Southern Tier Brewing, Hamburg Brewing Company, Ellicottville Brewing Company, Saranac Brewery, Flying Bison Brewing Company, Magic Hat Brewing Company, Genny Brew House, Otter Creek Brewing, Long Trail Brewing, Woodcock Brothers, Ommegang Brewing, Shiner Beer, and Southern Tier Brewing. Viewing the Carvers is free. Tickets for the Chamberfest are $25 presale and $30 at the door. Tickets Available at http://www.SalamancaChamber.org or The Logo Shop inside Seneca Allegany Resort & Casino.